The word kinetic relates to, or is characterized by motion. Kinetic energy is mechanical energy generated by motion. 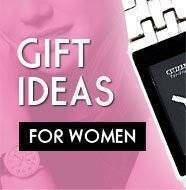 In the world of watches, it has to do with the source of energy that keeps them running. For divers, the real benefits have come from coupling this energy source with a long-term storage capability. 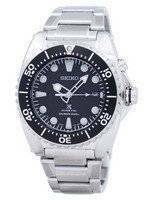 The results brought together in some of Seiko's kinetic dive watch models are truly leading edge. 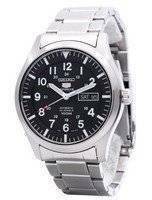 Seiko has produced state of the art technology that has been backed up by revolutionary designs. 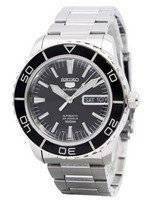 They have been manufacturing scuba automatic diving watches for quite some time now and have introduced many models such as the Seiko divers watch, automatic Submariner, Kinetic Scuba, Quartz automatic Diver, Pilot Calculator and the more popular Seiko Orange Monster and Seiko Black Monster dive watches. A Seiko diver's automatic watch is put through strict processes to ensure that they remain the best and on top of their game. Nothing is left to chance because Seiko's reputation as one of the best is at stake. 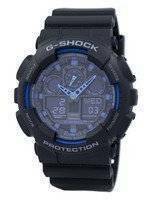 Their scuba automatic diving watches also follow guidelines set out by the ISO. Seiko dive watches are bursting with quality in all angles and getting a dive watch for yourself should leave you with no regrets. 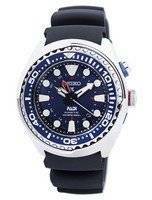 Any diver willing to go up to 100 or 200 meters deep should find any of the Seiko scuba watches useful. Seiko divers watch has to its benefit the fact that it produces everything, from the oil and face decor, to the gears and watch casing. 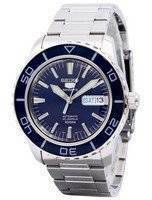 In 1986, Seiko developed what is now known as the Kinetic Diver's automatic watch line. 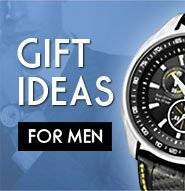 Seiko Kinetic Diver Watch Seiko diver Seiko kinetic diver watches Seiko kinetic watch kinetic watch seiko divers watch quartz movement quartz watch movement diving watches seiko dive watches.